The highly anticipated 25th State of the Nation Address (SONA) took place on Thursday, 7 February and this year’s SONA went off without any glitches or disruptions by opposition parties. 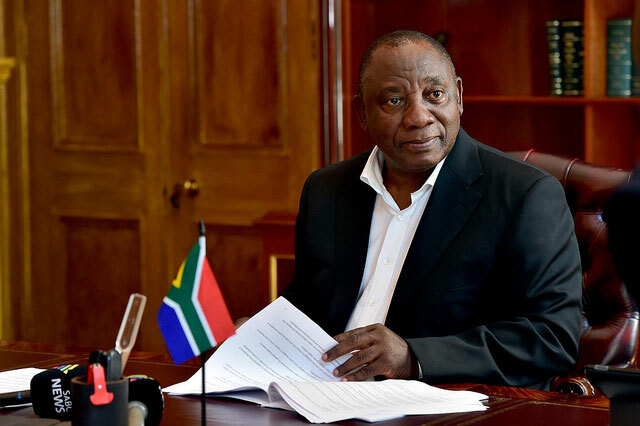 SA President Cyril Ramaphosa began by highlighting his five priorities namely – inclusive economic growth; education; improving the lives of the poor; the fight against corruption and state capture; and building a capable state. With unemployment reaching the 10 million mark, the president once again repeated last years goal of creating 275 000 jobs annually-an unlikely target. “Our infrastructure development has slowed down for a number of reasons. “We realized that our infrastructure provision is too fragmented between the different spheres of government and it does not fully integrate new housing development with economic opportunities and with the building of dams, water pipelines, schools and other amenities. “Cabinet has adopted a new infrastructure implementation model to address these problems,” he said on the topic of infrastructure development Confronting the water crises in many parts of the country, Ramaphosa said government is developing a comprehensive integrated nation plan that addresses water shortages, ageing infrastructure and poor project implementation and are urgently establishing an inter-governmental rapid response technical team, reinforced by specialist professionals, to intervene in areas which are experiencing severe water problems. On the energy front,one of the biggest reveals was government’s plans to embark on a process of establishing three separate entities – generation, transmission and distribution – under Eskom Holdings. “Eskom is in crisis and the risks it poses to South Africa are great.It could severely damage our economic and social development ambitions. “Eskom has come up with the nine-point turnaround plan which we support and want to see implemented.In line with this plan, Eskom will need to take urgent steps to significantly reduce its costs.It will need more revenue through an affordable tariff increase. “We need to take steps to reduce municipal non-payment and confront the culture of non-payment that exists in some communities.It is imperative that all those who use electricity – over and above the free basic electricity provided – should pay for it,” Ramaphosa stated. With over 700,000 children accessing early childhood education in the last financial year, he said that the responsibility for ECD centres will migrate from Social Development to Basic Education. Government will also proceed with the process towards two years of compulsory ECD for all children before they enter Grade 1. Speaking on health, he said government will take a significant step towards universal access to quality healthcare for all this year in the form of the NHI Bill which will soon be ready for submission to Parliament.”As part of our concerted effort to make our country safer and more secure, the Community Policing Strategy was launched in October last year.The strategy focuses on building partnerships between communities and the police; making more resources available for policing and better communication between the police and communities about crime prevention strategies. South Africa has extremely high levels of substance abuse, which feeds crime and violence against women and children, it deepens poverty and causes great hardship and pain for families. “We will process the operationalisation of section 8 of the Public Administration and Management Act, which strengthens the outlawing of public servants doing business with the state and enable government to deal more effectively with corrupt activities.,” he added. Another big announcement was the election date. “I have engaged with the Independent Electoral Commission and also with the premiers of all provinces, and intend to proclaim 8 May 2019 as the date of the election. “This is an opportunity for our people to exercise their hard-won right to determine the direction of this country,” Ramaphosa said. Following the Presidents speech, opposition party leaders were quick to opine their thoughts. “Ramaphosa’s first year as president has been a “State of No Action”.In his SONA last year, the president also spoke about the many interventions government made into the economy, but today our economy is still on its knees.NHI pilot projects have failed abysmally already. “If a pilot project is unsuccessful, there is no chance that it will be successful nationally. The president reaffirmed the ANC’s plan to expropriate land without compensation, with Deputy President David Mabuza set to lead this process. This is an assault on the Constitution and private property rights,” said Mmusi Maimane, leader of the Democratic Alliance. Economic Freedom Fighter (EFF) leader Julius Malema referred to the presidents speech as ‘lip service’. Meanwhile, Cope’s Mosiuoa Lekota said the president could not “talk himself clean”. GOOD leader, Patricia de Lille said the speech sounded good but worried about actual implementation. “More plans, more commissions but what about old plans?” she questioned.